Oak veneered beside table hangs from ceiling for a very modern, yet elegant look. Natural lacquered finish lets the natural beauty of oak wood grain shine through. Also available in Birch. Table measures 24x20 inches and can be made to accommodate varying desired finished table height and ceiling height. 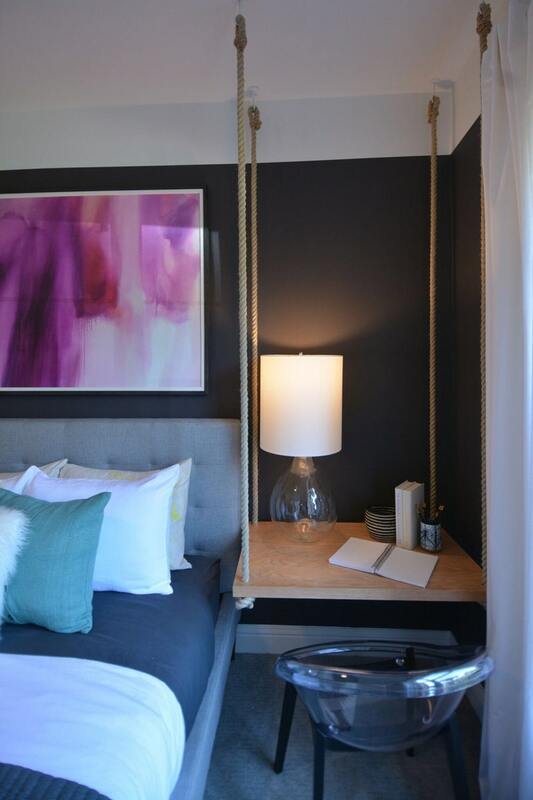 Specify height of table wanted and height of ceiling when ordering, so hanging ropes can be cut to correct length. Because of the varying nature of home construction and materials, I cannot give advice on how to hang your table. Please contact local tradesperson for installation. Please feel free to contact me if you have any questions or if you would like a custom size, finish or other special request.